In a medium saucepot, place the potatoes and add cold water to cover by 2 inches. Heat to a boil over high heat and boil 5 minutes. Drain potatoes and cool 5 minutes. 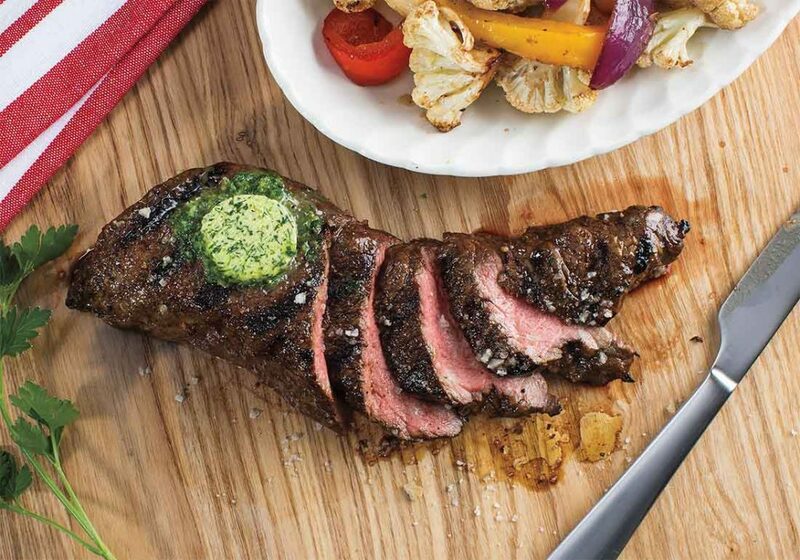 In a medium bowl, toss the steak with 1 tablespoon plus 1 teaspoon Cracked Pepper Seasoning. In a second medium bowl, toss the mushrooms, bell pepper, zucchini and potatoes with oil and the remaining 1 tablespoon Cracked Pepper Seasoning. Preheat a gas or charcoal grill on medium heat (325°F) for 15 minutes. Thread the beef and vegetables onto the skewers. Apply vegetable oil to a clean kitchen towel and use tongs to coat the hot grill grate with oil. Use tongs to place the kabobs on the hot grill grate. 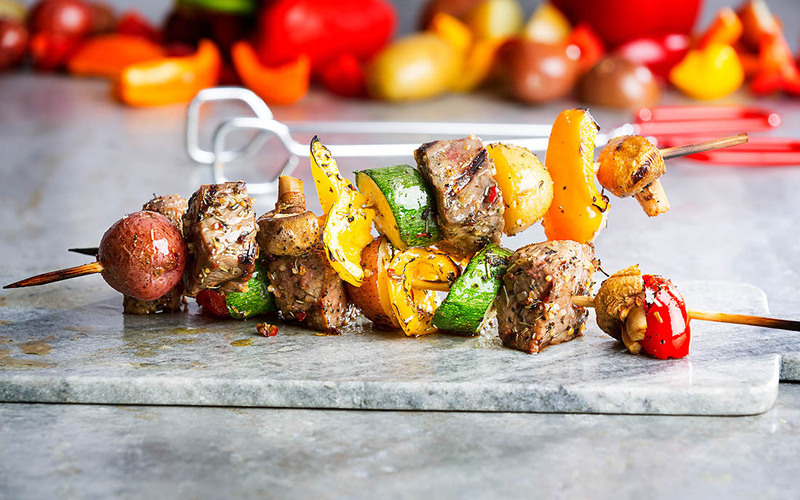 Cook the kabobs, covered, 10 minutes or until an instant-read thermometer inserted into the steak reaches 125°F for medium-rare, rotating kabobs a quarter turn every 2 1/2 minutes. Transfer the kabobs to a dish; loosely cover with aluminum foil and let stand 5 minutes to allow juices to redistribute before serving.